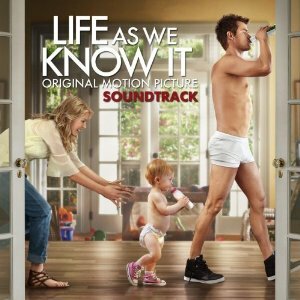 What’s your favorite song on the soundtrack of Life As We Know It? What is the song in the end where the credits appear? What is the song that they play in the movie when Josh Duhamal is upset at Katherine Heigl and took off to cool some steam? I’ve been looking for this song everywhere! what is the song that plays when josh duhamal runs out because he is upset? The song is Just Breathe by Pearl Jam. What’s the title of the song when the movie just start out? What is the song where he is singing to the baby…its a Radio Head song? whats the song where their in the car and their is a baby song playing? Whats that song where messer takes off on his motor cycle when he has a fight with holly, and hes like standing on a bridge at night looking at the city skyline. Hey, it’s Bruno Merz not Mars. The song when messer storms off to the bridge on his bike is not on the sound track. does anyone know the name and artist??? i’ve looked up bruno mars and merz, and just breathe by pearl jam… nothing matches. The song at the end where credits roll is “Just Breathe” off Backspacer (PJ) don’t know why its not included on soundtrack…it’s the best song in the flick. What is the song when the credits are rolling? @david mcafee: you can find video from bruno merz in youtube. What’s the name of the song playing when Sam and Holly were having a picnic and it fades into Josh directing a game in Phoenix? Any chance that the slow/sad instrumental music that is played, in the scene where Holly is being told that they’ve died, has a name??? I’m desperate for it!